It was a mid September night, some three hours past sunset. Our Mahindra Thar, ornamented with dust, zoomed in to the territory of Khajuraho. 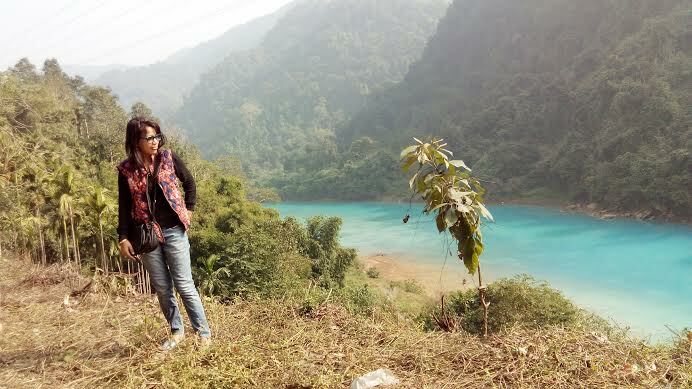 It was only a 136 km drive from the holy town of Maihar to this UNESCO World Heritage Site. We had not booked a hotel in advance. And we ended up encircling the place twice in a span of half an hour. 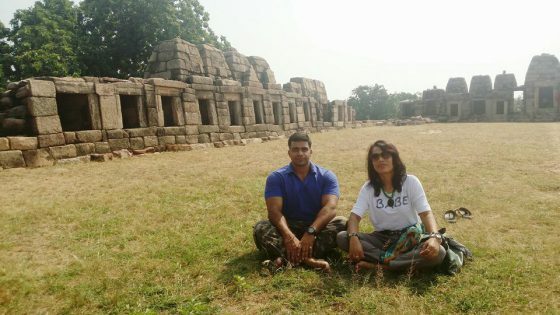 As my husband Yogaditya Singh Rawal drove leisurely, his eyes focused on the road as well as possible sight of hotels, my sight was directed towards exploring views of the temples I had heard about a lot. Darkness smudged my vision. Streetlights, home radiance and commercial illumination ruled the roost. Few people on the streets and closed shops suggested that the town usually slept early. In the city, we were accustomed to sleep late. Finally, we landed up in a hotel of our choice. The next morning, the Khajuraho sun welcomed us, peeping through the tiny slit of long curtains of our hotel room window. I pulled out the curtains. Flowers in red and yellow in full bloom in tubs at the balcony seemed to smile at me. I smiled back. The wide open space with several yards of green fields on two sides of our hotel gave enough room for the pleasant breeze to greet us the grand way as I opened the window. Soon, we were ready. At the reception, we took a booklet that contained the map of Khajuraho. 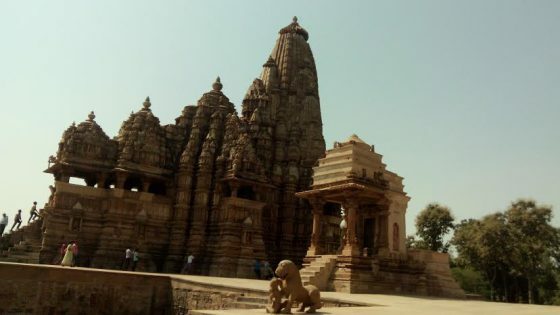 The booklet also contained description of places of interest in and around Khajuraho. And we set out in our Thar. A small town, but rich in heritage! We started with the western group of monuments. We hired a guide from the main entrance gate. Our very footsteps in the premises shipped us to the kingdom of the Chandel rulers of the 10th and 11th centuries. The exquisiteness and grandeur of the temples all around, visible from a distance, could not be expressed in words! 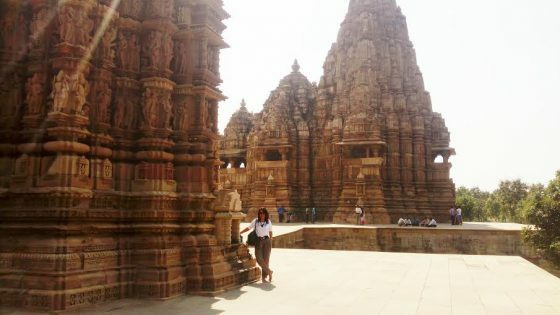 As we walked in awe in silent steps towards the temples, we fell in love with our rich heritage. Architectural and sculptural splendor at their zenith! The architects, masons, sculptors, designers, and manual workers were so gifted!! A colossal monolithic statuette of the Varaha Avatar of Lord Vishnu, standing tall within the Varaha Temple was a major attraction. The temple, built entirely of sandstone, rested on a lofty plinth. It was an oblong pavilion with a pyramid shaped roof of receding tiers. The tiers rested on 14 plain pillars. Information about the shrine displayed at the entrance suggested its construction dating back to 900-925 AD. The intricate carvings all over the statuette were a feast for the eyes. Our reverence for the Chandel kings and whoever involved in giving shape to this sculptural brilliance increased the more. It was a blessing visiting the Kandariya Mahadev shrine. The temple was spread over an area of about 6,500 square feet with its spire rising at 116 feet. 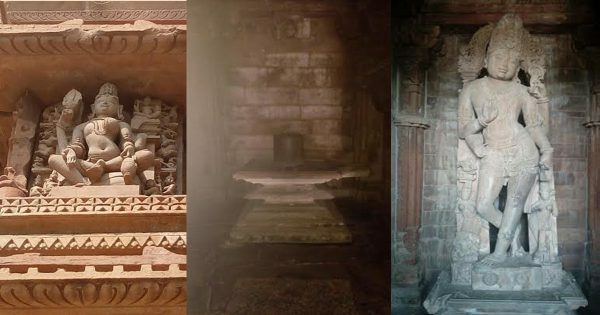 Signs of worship were visible in the Matangeshvara shrine, a square grid temple with the Shivling at 8.2 ft high and 3.6 ft diameter placed on a 25 ft diameter platform. Hinduism is well glorified with most of the temples dedicated to Lord Shiv and Goddess Parvati; Lord Vishnu and His incarnations including Lord Ganesh and Surya Dev. There are three temples dedicated to Jain Tirthankars. As we explored the temples one by one, my eyes rummaged around for the sculptures that the temples have been made famous for. Eroticism! 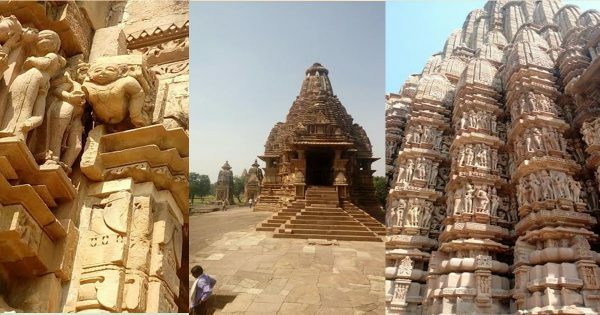 In booklets, in magazines, in tour advertisements, and almost everywhere in digital and print medium – this single trait symbolized the town and the temples! Yes, they were there but only at a miniscule level portrayed in proportional balance. They were scarcely highlighted. We could not find them until we looked closely to uncover them. 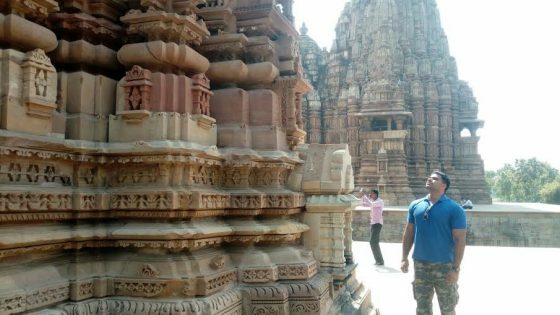 After we toured all the temples in Khajuraho, we found only less than 10% of eroticism displayed in the artwork and sculptures. 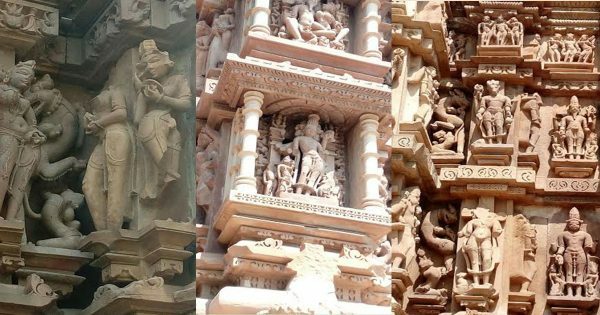 The Chaturbhuj temple had no such symbols. 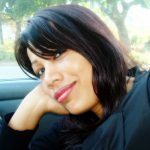 Why the hullabaloo in our home country and abroad? 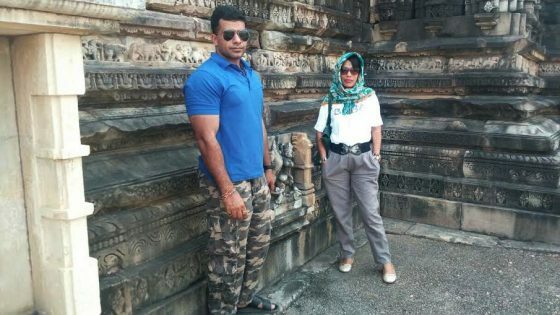 Is it a tourism promotion gimmick? Is it an attempt to tarnish our rich cultural heritage? Is it a stab at the very essence of Hinduism? I did not have the answer. And I still don’t have it. But these questions did arise in my mind. And they still arise. 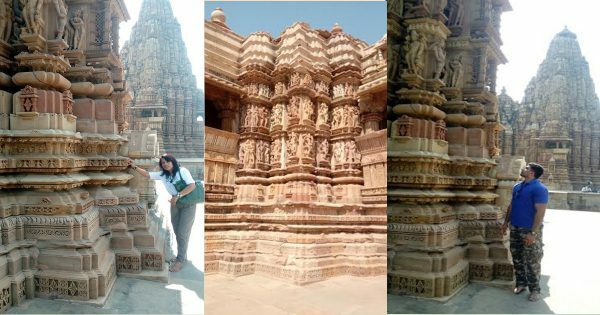 Through our exploration of all the temples, we found that sculptures in all the temples symbolically depict the four goals or philosophies of life, called Purusarth (objective of human pursuit) in Hinduism – Dharma, Kama, Artha, and Moksh. Dharma signifies virtuous life including duties and conduct. In short, it denotes the right way of living. Kama represents desire, sensuality, emotional fulfillment, wish, sexual desires, and procreation. It forms the base of the multiplication of the human race, generation to generation. Artha connotes means of livelihood and material prosperity. It also implies ‘means of life’. Moksh is self-realization. It refers to self knowledge. It implies freedom from ignorance. Moksh also refers to liberation from the cycle of birth and death. Why only Kama philosophy is highlighted for promotion of tourism ignoring the rest of the three goals? Besides the four goals, the artwork in the temples of Khajuraho depicts Hindu Gods and Goddesses. It also represents routine activities of the people of the Chandel period. It portrays how soldiers marched towards the battlefield, types of weapons used, animals taking part in war (wild boar, horses, and elephants were common), and war scenes. The sculptures show women involved in beautifying themselves, using vermilion in the forehead, catching hold of small mirrors, applying kajal in the eyes, etc. The base artwork exemplifying the concept of bure nazar wale tera mooh kala is a visible sign in all the temples. 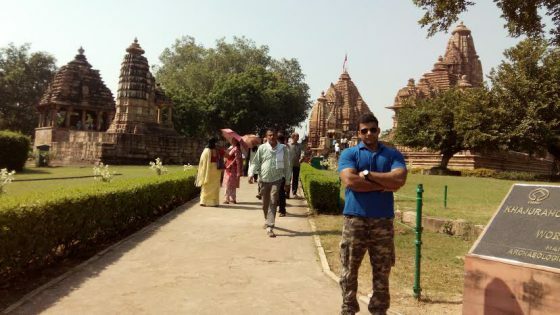 Keechak, the army commander of King Virat of Matsya of Mahabharat fame, is visible bearing the weight of the temple at the entrance of the shrines. Matsya was the kingdom where the Pandavs, disguised, hid during their exile. Keechak was believed to possess the strength of 100 elephants. With all of these descriptions, eroticism comprises less than 10%. The tourism sector should highlight all of these factors rather than promoting the sexual symbols in the sculptures! 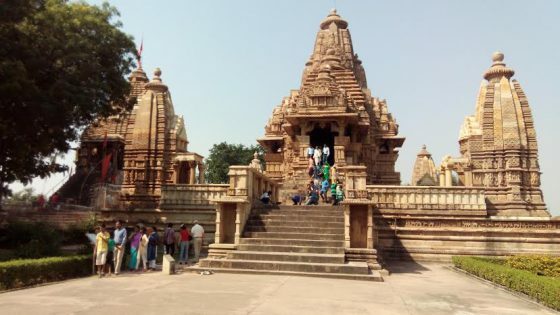 The Chaunsath Yogini (64 Goddesses, all aspects of Goddess Durga) temple is the oldest in the group, dating back to the 6th century AD, preceding the Chandel period. 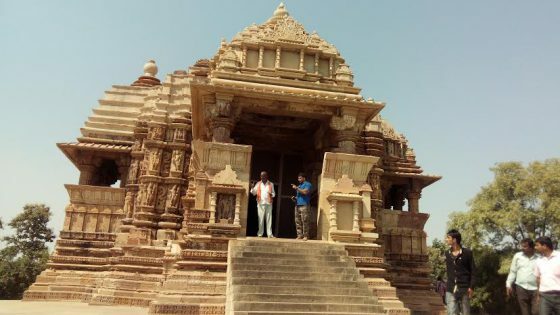 It was probably built by the Gurjar Pratihars. Located on a 5.4 meter high platform, the shrine has a rectangular plan with an open courtyard at the center. Originally, there were 65 cells, each cell comprising of a small doorway and a curvilinear tower. Only 35 of these cells have survived. Out of these cells, one cell is the largest. Located on the centre of the back wall, this cell is believed to contain the image of Goddess Durga. Tantriks visit the temple to offer prayers to the Goddesses. Except the Chaturbhuj temple, all temples face sunrise. 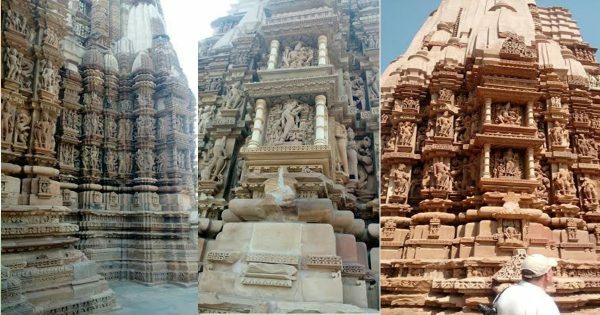 In total, there are 16 Hindu temples and 3 Jain temples, exhibiting Nagara architectural style. 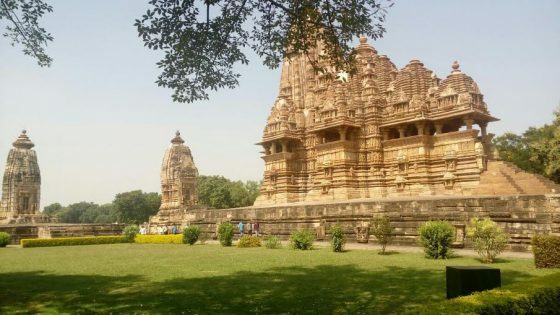 85 temples were constructed by the Chandel kings; only 19 survived Nature’s fury, the wrath of time and Mughal invasions. 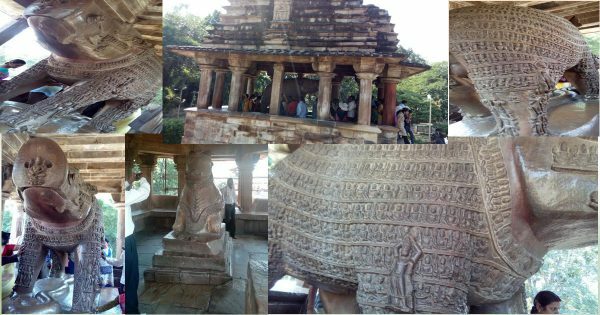 Square and circle symbols suggesting Hindu mandal design, are present in all the temples. Vastu principles are imbibed in each temple with the territory laid out in three triangles that converge to form a pentagon. With the foundation in granite, which are concealed and the temples in sandstone, it is gravity that holds the precise tenon joints in place. No use of mortar but mortise! Columns and architraves were erected with megaliths. What grand and innovative ideas the builders and architects of the bygone days were endowed with! We spent the whole day exploring all of the temples. Majority of the tourists from across the country and abroad thronged the western group of monuments. Our guide spoke fluently in Hindi, but ineptly in English. We chose to listen in Hindi. He enlightened us in detail about the history associated with each temple. 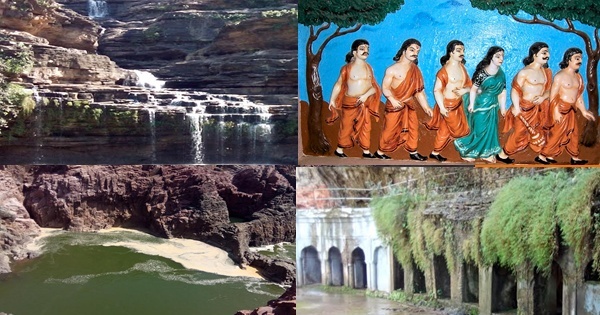 The next day, we set out for Raneh Canyons, Pandav Fall and Caves, and Ajaigarh Fort. 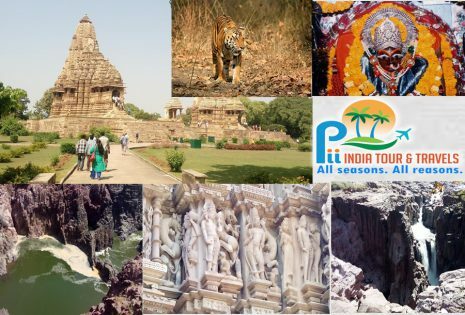 Stay tuned for my travelogues on these places including Maihar, Orchha, Jhansi, and Datiya at the ‘Travelogues’ section of myindiamyglory website. Click here to read my travelogues on Maihar (about Sharda Maa shrine), the place where Sati’s necklace fell and to know about the Alha chronicle.